Often, whilst watching films, I will find lines from other movies, television shows or items I've read coming to mind, often with little rhyme or reason. During the opening minutes of the Coen Brothers' amazing latest feature Inside Llewyn Davis, it was the profoundly melancholy sentence put forward by Andy Bernard (Ed Helms) in the final episode of the American Office which perfectly captured the mood and sentiment of the film unfolding before my eyes: "I wish there was a way to know you're in the good old days before you've actually left them." In the instance of Inside Llewyn Davis, the "good old days" is the New York folk scene of the early 1960s, presented here with a warm, hazy nostalgic glow. The titular character, as portrayed by Oscar Isaac, is our "in" to this unique period in history - an age in which traditional song-smithery and counter-culture ideals began to mesh. Yet, despite Davis' incredible talents - as evidenced by his soulful performance which opens the movie - his tale often feels like a case of being in the right place, but at the wrong time of his life. Pregnancy scares with friend's partners, an inability to find a job or home, a mouth which antagonises at will and a fondness for alcohol are in constant battle with his strong principles and steely determination. The "good old days" are about to pass Davis by and, whilst he's struggling to get his affairs in order, folk singers around him, novelty performers too, are about to make good whilst our protagonist is stuck in a rut, a self-inflicted purgatory of sorts. His resolve to make a living and find adulation on his own terms is often undermined by life choices which are often self-destructive. We first encounter Davis in a classic "morning after the night before" situation - his big mouthed heckling of an act have led to a beating in an alleyway whilst, just yards away in-doors, another folk singer is taking their first steps of an ascending path to stardom. At least, we imagine, things can't go any further downhill from here for our protagonist. Yet, as illustrated by one of the most cerebral oeuvres in American cinema history, the Coens' are more than merely a few steps ahead of the audience - they've plotted an entire labyrinth ahead of us, leaving breadcrumbs which lead to an unexpected conclusion (albeit one which they've signposted from the very opening frames). If this is the humdrum manner we first discover Llewyn Davis, where will his path lead and what does this ultimately mean? Inside Llewyn Davis is ultimately a film which questions the very notions of success, of our life's journey, and how we should define it. If folk music is all about principle and counter-cultural ideals, then why should "making it" rank so very highly on many acoustic troubadours' lists of aspiration - if capitalist reward is of no value, then why pursue it? Perhaps, despite being found beaten, we meet Davis' as a winner - someone stuck in a purgatory of his own creation, a moral man who would rather live in constant discomfort than surrender his ideals? Or maybe, like Billy Liar, despite a world of talk, Davis is scared to succeed, comfortable in his own squalor rather than chance failure through effort. Whilst Sam Cooke sung, at around the time of the movie's setting, of vital changes about to come, there is very little in Davis' life that suggests his existence will ever stray from a circular path in which he's doomed to make the same mistakes over and over. His odyssey has no end in sight - his is a tale which was ever new, but never gets old; one stuck in stasis. Whilst it may have been a quote from The Office which inspired this article's train of thought, my feelings towards the movie simultaneously run in a contrary direction, ecstatic that I'm aware of how special the electric shadows of the Coens' latest movie are as they flash before me. Unlike Andy Bernard, it's almost impossible to not appreciate the extraordinary experience unfolding in present time - throughout Inside Llewyn Davis, the muscles at the corners of my mouth and my tear-ducts battled for supremacy over my face which remained dewy-eyed and adorned with a rictus grin from the opening frames until long after the screen had faded to black. The performances, particularly Isaac's and John Goodman's hilarious cameo as a pretentious jazz musician, are things of joy (with the lone exception of Carey Mulligan and her odd acting decision to shout every swear word and mumble all else), and it would be a strange review not to mention the lilting melancholic euphoria of the soundtrack produced by T-Bone Burnett alongside Marcus Mumford. 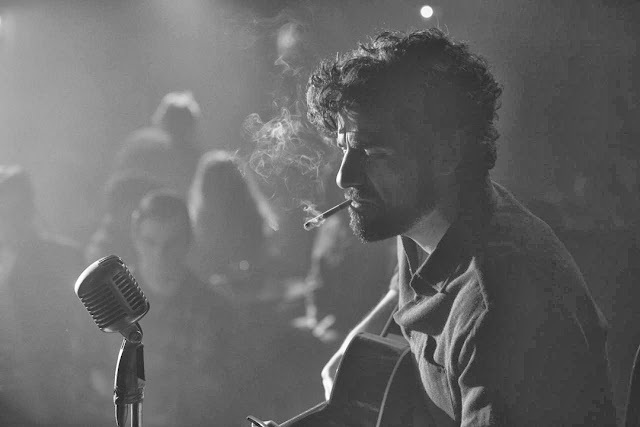 Boasting all the hall-marks of a Coen Brothers classic, Inside Llewyn Davis also has the bonus of an added emotive layer, presented in the form of infinite moroseness, not as apparent in the rest of their work. As Llewyn Davis, forlorn and weathered, walks through mountains of snow, broken but propelled on-wards by stoic resolve, it is impossible not to be moved to the core - until one notices the snow-free, and easier to navigate, ground just yards to his side. If only he didn't so stubbornly chose to walk the hardest of paths at all times his journey wouldn't quite be such an odyssey.